My previous post took a look at some of the showier flowers appearing around Wivenhoe right now. 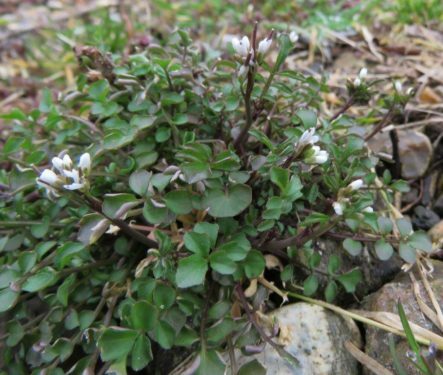 But there are others, less showy and more of an acquired taste perhaps: the ‘little white jobs’, of which there are many in our gardens and waysides. 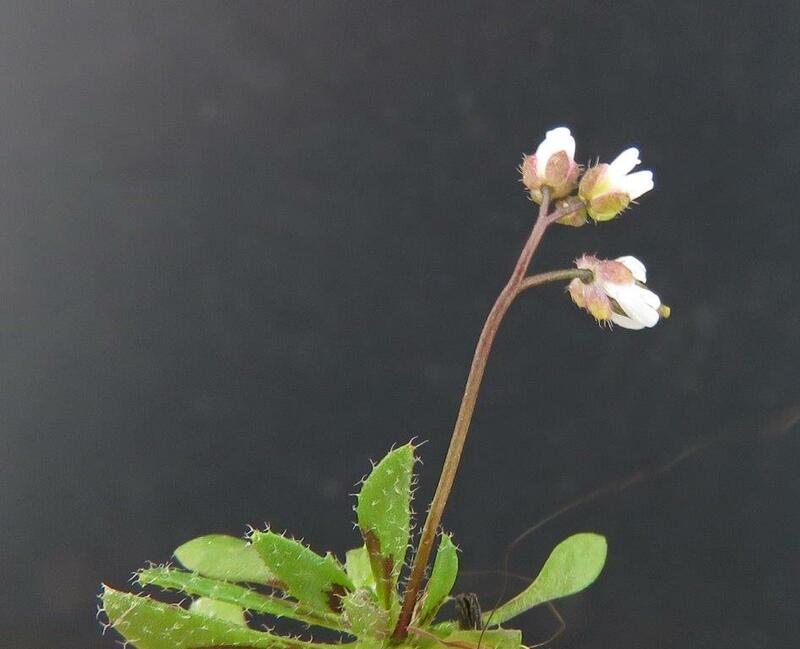 Several of these are in one family – the Brassicaceae, or cabbage family – and easily recognised as such by their flower structure, usually having four petals and sepals, six stamens (male naughty bits), and a single female part (style) in the centre. After that, the separation into species is best done by looking at the distinctive fruits and seed pods, which in the annuals below are produced only a very short time after the first flowers. 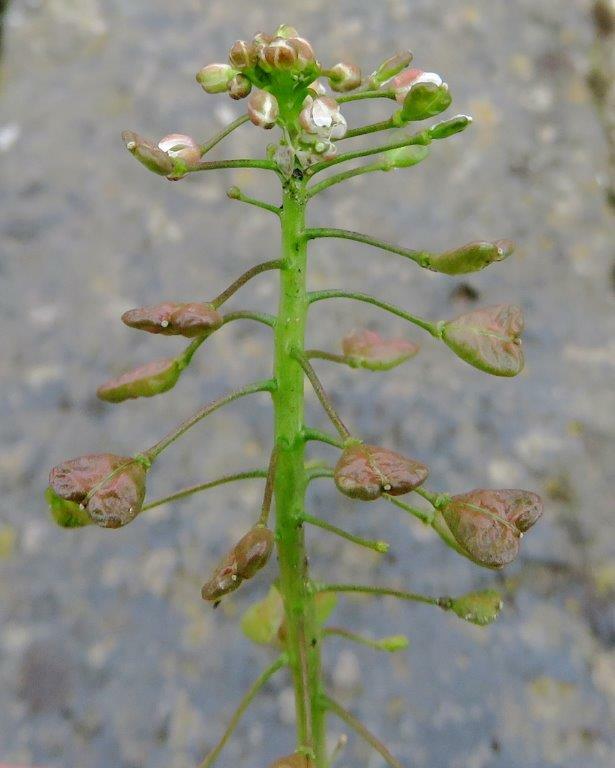 Shepherd’s-purse (above) is so-called because of the lobed, almost heart-shaped seed pods. 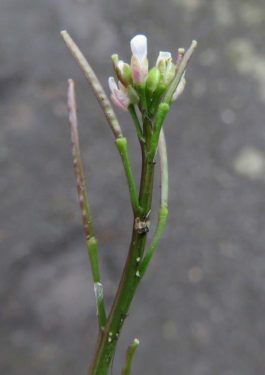 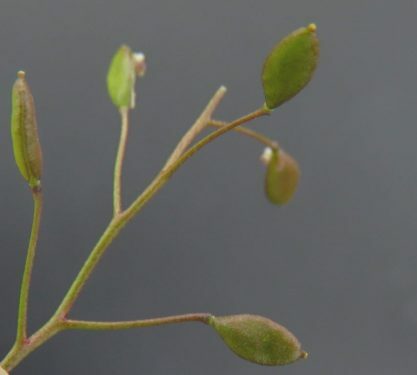 In contrast, Hairy Bittercress has long, thin, upright seed pods, the tips of the pods projecting above the flowers and so distinguishing from other Bittercresses. And smallest of all, Common Whitlow-grass, barely 6cm tall usually, and found especially where the soil is on the sandy side. Definitely worth adopting the Botanist’s Pose for, nose to the ground and bum in the air, check out its petals, each deeply divided into two lobes, its pointed oval pods, and then its leaves covered in whitish, branched hairs – just click on the right-hand photo above to get a closer look. 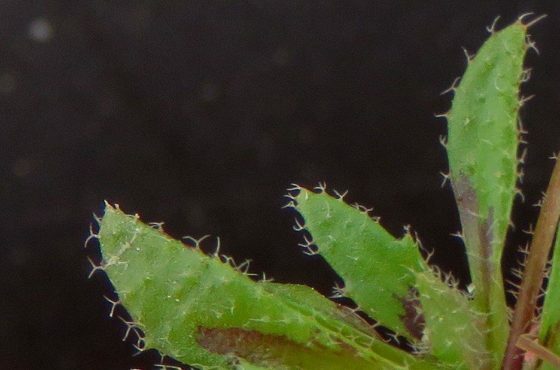 Finally for now, one further species which may look similar, but is soon revealed to be in a different family altogether. The Caryophyllaceae (campion family) generally have five sepals and petals; five to ten stamens, and three to five styles. 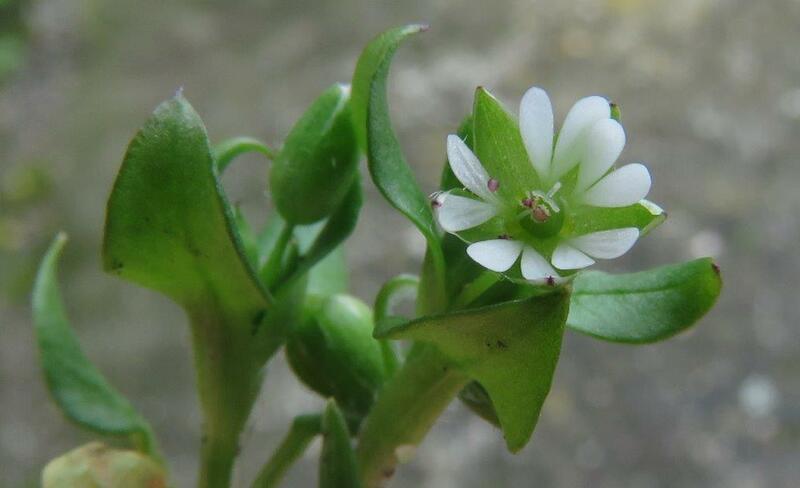 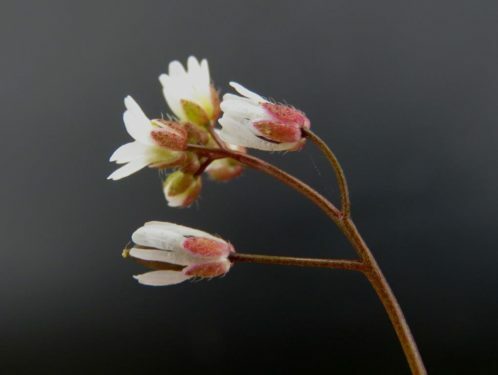 Common Chickweed (below) shows this well, especially the five petals, again divided to the base, and so looking like ten; and three female styles, each bearing a pollen-receptive stigma.